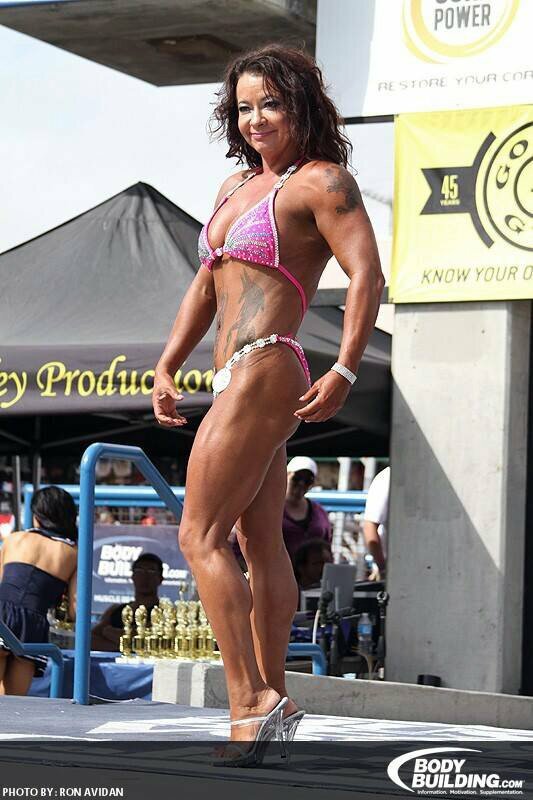 Over 40 Amateur Of The Week: Fitness Fury! Tina combines CrossFit with Olympic lifts to sculpt a body worthy of podium finishes at age 41. See what drives her to compete against the best! I wasn't happy with the way I looked as age 40 approached and needed something to make me happy. I was 150 pounds at 5-foot-1, which was my heaviest weight ever. I dabbled in kickboxing and boxing, and was hooked on CrossFit after one class, which made me stronger and faster. I changed my diet and dropped 30 pounds in three weeks. When I looked in the mirror, I almost cried. I'm a mother of five children, and it was surprising how people gave me a hard time for getting into fitness. They said I looked good for having five kids, but I wasn't happy and that's what mattered. After four months, I was a certified L1 CrossFit Coach, a CrossFit Kids Coach, a CrossFit Olympic Coach, and a USAW Sports Performance Coach. I competed in two USAW Olympic lifting meets, placed first in both, and qualified for nationals in November 2013. 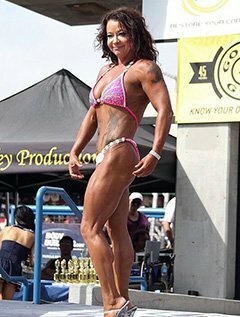 I also competed in the 2013 Memorial Day Muscle Beach Figure show and placed third (I took third place in the Muscle Beach raw bench press). Less than a week later, I placed second in master's figure at The Roman Classic in Rome, Georgia, on June 2, 2013. I'm just getting started and am doing my first physique competition on August 24, 2013, in Denver, Colorado. Age 40 is the new 20! I feel better than ever. Fitness is my way of life now and I can't imagine a day without it. I work out every day and keep one day strictly for cardio. I constantly change and adapt my workouts. I do 45 minutes of cardio before my first meal. I'm training for my first physique competition in August and for USAW Nationals (Olympic lifting) in November. I coach CrossFit Classes at CrossFit Cherokee in Canton, Georgia on Mondays. I vary my workouts so I can cut and build to increase my strength for Olympics lifts. My biggest challenge was to find a coach who can help me with everything. I was tired of feeling self-conscious about my body and how it looked in a swimsuit or a form-fitting top. Jeff Rice and Angela Drupel from CrossFit Cherokee are inspirational. I admired they way they hustled and killed it. I love going to the gym and seeing people who love fitness and want to be healthier. I also watch YouTube workout videos and learn new exercises. I'm currently training for physique and USAW Nationals. I have an upcoming physique competition August 24, 2013, in Denver, Colorado, and USAW Nationals in November 2013 for Olympic lifting. This is a lifestyle, not a fad. It's about dedication and consistency. It's not easy in a world full of fast food. Diet is the hardest part, but it makes everything fall together perfectly. Dana Linn Bailey and Jay Cutler are my idols and the two people I want to meet most. It keeps me focused and goal-oriented. 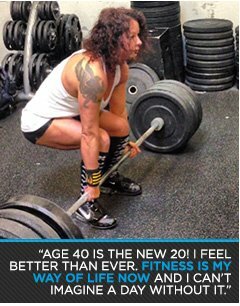 Bodybuilding.com is an awesome source to order new products to learn new workouts. A big high five goes to Jeff Rice from CrossFit Cherokee in Canton, Georgia, for introducing me to CrossFit. To Coffees Gym in Marietta, Georgia, the most talented and wonderful group of people and coaches. They took me in and helped me get better every day. To Eric Broser from Broser Built International. He coached and trained me in two weeks to claim a respectable third place at Muscle Beach and second place at The Roman Classic. I couldn't have done it without him. He's a miracle worker and a real life Superman. To Anthony Bastian from Proud Bodies Training in Stockbridge, Georgia, for taking me on and coaching my posing, nutrition, and training. I look forward to working with him. To Justin Metts from The Garage in Woodstock, Georgia, for letting me join the Barbell Club to improve and practice my Olympic lifting. He's talented, funny, and knows how to push me. I couldn't ask for a better CrossFit coach. To my five beautiful children who encouraged and supported me when I wanted to quit. To my friends and family who stood by and supported my craziness and moods. Sorry I made you eat chicken every day.